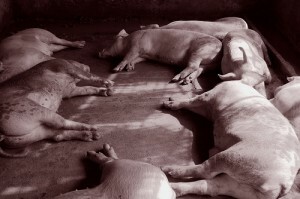 Factory Farms Behind Pig Genocide in Michigan - Hartke Is Online! Finally, the Michigan Swine outrage is breaking into the media, RT America, based in Washington, DC did this excellent video news report on the horrible treatment of farmers by the state of Michigan. Declaring it pig genocide in Michigan is putting it mildly. Government agencies and the governor (by his inaction), are destroying the fabric of a community and the dreams of their citizens for a business of their own. By the way, isn’t it about time our politicians started talking about business opportunities? I am so sick of the emphasis on JOBS in the political dialog. Businesses are what we really need, but our politicians seem to want all of us beholden to them for jobs. What about all the business killing regulations? You can’t have jobs if you don’t first encourage business start-ups! This regulatory hostility toward business owners, farmers and ranchers has got to stop! Think about it. Would you rather be working in someone else’s pork factory, or tending to a few pigs on your own land? Which is going to be the least hazardous to your health? Which potentially could lead to more wealth? The government is criminalizing the latter, therefore forcing these farmers back into the workforce. They will have to get JOBS to survive. What a Shame! Make your voice be heard on this! Spread this video far and wide. Only a huge outcry can stop this kind of abuse of power. Wake UP America, THEY will come for your livelihood NEXT! 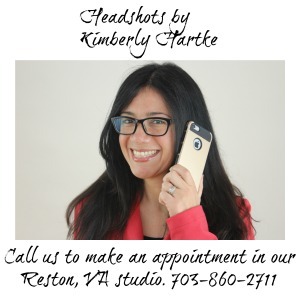 Kimberly Hartke blogs about the local foods movement. Click here to see the actions you can take in her previous stories on the Michigan Swine Invasive Species order. This post is part of the Fight Back Friday blog carnival on FoodRenegade.com. Two questions that weren’t covered: did the farmers attempted to get the law changed or removed entirely prior its signing in (iirc) 2010 or prior to the April 1st deadline, and why they didn’t try selling their livestock to out-of-state farmers instead? The farmers made many attempts, both in the courts and in the legislature, to stop this, but were blocked int he legislature by the big port industry. Some court cases are still going on. As for selling their all their pigs out of state, that would have destroyed the businesses they were trying to save, and there may have been regulatory problems. Maybe they could not believe that the courts and the legislature would allow these unconstitutional, brutal, soviet style horrors to take place in America. I still have trouble believing it. I know, Stanley. The fact that this is happening tells me that the public has been lulled to sleep by the endless “talking head” drivel over non-issues, while these egregious events go largely unreported. Hopefully this blog will change all that! I want people to know the TRUTH! In our system, the press is supposed to report the truth, so we can know what is happening and pressure our representatives accordingly. But they never do. The mass ignoring of this slaughter of heritage pigs under threat of state prison and crippling fines is one of most disgraceful moments of the American news media. Our liberty is being ripped away in clear violation of the Constitution of the United States and they report NOTHING. Kimberly, thank so much for getting the truth out there! Oh, by the way, RT America is actually a Russian network, I said “based in DC,” but should have said the DC Bureau of a Russian TV network. Now, you know it still hasn’t gotten enough coverage from U.S. media, especially national! Anybody know what asymmetrical warfare is? It’s when one side has all the might of weaponry, money and soldiers and the other side has historically had pitchforks, sidearms and trees as protection. This was the how things were in the Revolutionary War, the War in Vietnam, the fight over mideast oil, and now pigs in Michigan. So it is Russian television which is covering this horrible attack on American farmers and American freedom, while the American media ignores this? Russian media is much more sympathetic to the loss of American freedom then our own putrid news media, who will not even report it ? Jack, I wonder how many times the pitchforks beat the big guns? Any thoughts? I just asked 22 people at work if they have heard of this issue, and all 22 said no. I am so disgusted and outraged. I think we should all call our local news stations and demand that this issue be covered. The farm that our family buys pork from was completely shut down. They are devastated and looking for work. I pray for them every night. Antibiotics don’t work on pigs!